Australia is a dream destination for many travellers, and with it’s unique culture, natural beauty and relaxed lifestyle, it’s easy to see the attraction. And now it’s even cheaper to explore this amazing country with our exclusive discounts on student flights through leading airlines. 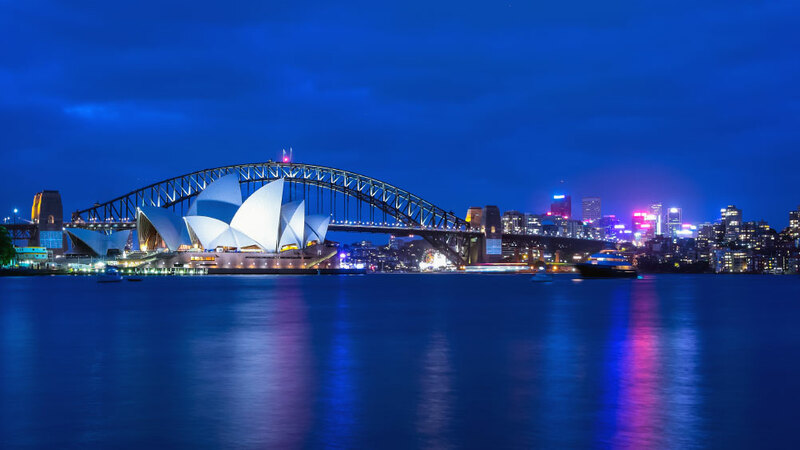 Whether you’re planning to backpack the East Coast, work abroad whilst travelling or settle into a cosmopolitan vacation, we’ll get to Oz at a fantastic price. But that begs the question... when should you go? On the other side of the world, seasons are swapped. January is a great time to snag some off-season discounts (and to ring in a “new year, new you”), but the intense Australian summers can be a bit too much for some people, with the temperature climbing above 40°C. Autumn and Spring make for the most comfortable travel with average temperatures settling in the mid-20s. Australia is a well-known backpacker paradise—it’s meant to be explored! There hundreds of places to visit on your Australia trip, each inspiring in its own way. The East Coast of Australia is arguably the most famous backpacking route in the world. Travelling from Melbourne through Sydney, the Gold Coast, Brisbane, the Whitsundays and on to Cairns is, frankly, epic. There are many ways to do this route, either using the Greyhound hop-on/hop-off buses, joining a group tour or hiring a camper van and driving yourself. Another way to explore the land down under is by working abroad. As a British passport holder, you’re eligible a working holiday visa which allows you to live and work in Australia for up to 12 months. From there, you can earn up to £14 per hour whilst living the dream! Finding affordable lodging can be tough when you’re exploring Australia. With that in mind, most travellers stick to hostels. Not only will you save a few quid, but you’ll get to swap stories with other travellers as well. With so much to see and do in Australia, knowing where to start can be as big a challenge as getting there. Great Barrier Reef, Queensland - With a length of over 2,000km, this stunning natural phenomenon spans most of the coast of Queensland. The Great Barrier Reef is even larger than the Great Wall of China and the only living thing visible from space! Get your diving gear and snorkels ready, and make sure this is top of your Oz bucket list. Blue Mountains National Park, New South Wales - The Blue Mountains National Park measures in at over 2,500㎢ and contains some of the most beautiful natural scenery on earth. Home to emus, tiger quolls and other beasts, visiting The Blue Mountains is an essential and unforgettable part of any Australia trip. The Great Ocean Road, Victoria - This incredible road cuts a breathtaking path across Southern Australia from Torquay to Warrnambool. Attracting over seven million visitors every year, it’s the most spectacular coastal drive in the world. The land down under attracts young people from around the world to cities like Sydney, Melbourne, Perth and Brisbane. It’s a country with a dramatic past, friendly locals and jaw-dropping landscapes, as seen at Flinders Ranges, Kakadu National Park and the sacred rock, Uluru (a.k.a. Ayers Rock). One of the oldest cities in Australia, Sydney has a cosmopolitan flair. From the glistening waters of Port Jackson to the streets exploding with culture and history, student travellers love exploring the sunny capital. 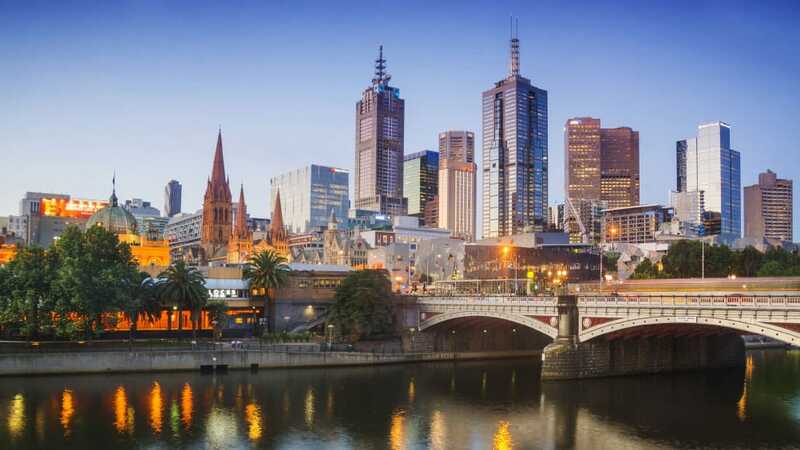 As the second largest city in Australia, Melbourne also has a lot to offer college travellers, whether they’re studying abroad or taking a gap year trip. The weather is always gorgeous and there are plenty of museums, parks, galleries and theaters. Brisbane, dubbed the “new world city,” has caught Aussie’s attention. The rising capital of Queensland enjoys rowdy nightlife, excellent restaurants and an edgy art scene. There are a lot of youth hostels and budget hotels scattered throughout Australia’s cities, so why not try them all? Remember when we said Melbourne has so much to offer? Here are 10 must-have experiences for the city down under. Still don’t get why travellers are obsessed? It probably has something to do with a stormy outback, adorable kangaroos and the sight of hot air balloons drifting over Mareeba… *sigh* Makes us misty-eyed just thinking about it.